Are you a parent who struggles to meet your needs? This can become a vicious cycle, but one that can be broken and needs to be broken for parents who want to authentically be present to their child's emotions. Most parents have a lot of emotional needs that can be very hard to meet when giving so much to their child and keeping the family, house, food, laundry , finances etc afloat. We all need time alone, we all need to eat when we're hungry and get enough rest. Sleep deprivation makes it nearly impossible to feel bright and breezy about our world. We all need the opportunity to share with a close person who we feel safe with and be met with empathy rather than judgment. We all need time to think, to work things through. Most parents need more time than the hours of the day give them. I think most parents (if not all) struggle to one extent or another with getting their own needs met, especially in the first five or six years, but really it’s an ongoing challenge. Yet the more we value the importance of gaining support, rest, fun, self-healing and times to de-stress, the more likely we are to put the work into getting these needs met. I often think that parents (adults in general) tend to value and prioritize the maintenance of their home, their land, their cars, their appliances, clothes, food and just about all the ongoing physical needs way more than they value the emotional needs. This, I believe, is symptomatic of an invalidation of emotional needs in our society in general, a society of individuals who mostly didn’t have their deeper emotional needs met sufficiently when they were young. Although many adults know that they were loved, they often didn’t gain satisfaction of their needs to feel truly listened to, to have their feelings tuned in to in a respectful way, to feel validated, to gain support and empathy at times of frustration, disappointment, nervousness and overwhelm, to name a few, their needs to give honest feedback and negotiate in matters that intimately affected them. Breaking cycles is hard work. It’s hard to be a generation whose turning the tide, giving so much of that which wasn’t received, yet that’s what it takes to evolve and heal. Meeting needs is a daily challenge, each of us is at a different point of satisfaction/frustration of needs met or not met on any one day/week/month. So I don’t see it so much that it’s only when someone has all their needs met can they meet their children’s needs. Most parents are meeting many needs for their child that aren’t being met for themselves, like listening to their upsets and complaints when there's nobody to listen to them. Yet it’s wise to recognize that it’s just not sustainable to keep giving that which we don’t receive on an ongoing basis. It’s stressful and resentments build up, it's unavoidable. So I guess we each do our best each day. But I strongly believe in putting more energy into being more aware of, caring towards and validating of our own needs and this internal care tends to lead to different choices and actions that are more likely to meeting our needs than not. Sharing struggles can lighten the load. The other day I bumped into a mum in the supermarket who came to me for parent coaching/counselling a few months ago. Just one appointment, but it was a deeply emotional and insightful session for her. She told me yesterday that after realizing how much she was holding inside all alone, she started to share more with her husband, which has led to receiving more support from him. She’s religious and said that she also began to “bring more to God” which has really helped. I think this little story, hopefully explains how receiving some emotional validation can lead to accessing more support. 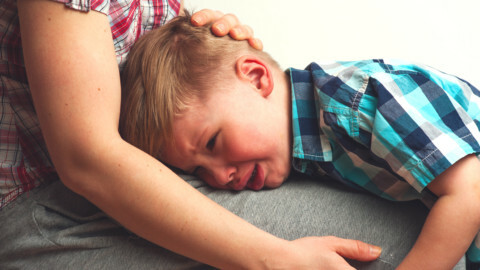 You might also like to read: Why do many parent's struggle to cope with their child's cries? Why we exlpode and how to prevent it?